WASHINGTON, DC, February 26, 2014 (ENS) – At the request of the Consumer Product Safety Commission, the U.S. Justice Department has asked a California district court to issue an injunction shutting down the import and sales activities of four California companies and six individuals alleged to have imported illegal children’s products containing lead and phthalates. Lead is “reasonably anticipated to be a human carcinogen” and “can damage the nervous system, kidneys, and reproductive system,” according to the U.S. Toxic Substances and Disease Registry. Phthalates are a class of chemical plasticizers, colorless liquids used to make plastics more flexible and resilient. 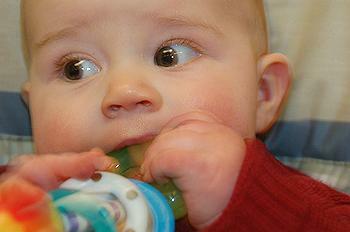 Certain types of phthalates are banned from use in children’s toys and other child care products. “Human health effects from exposure to low levels of phthalates are unknown. Some types of phthalates have affected the reproductive system of laboratory animals. More research is needed to assess the human health effects of exposure to phthalates,” according to the Centers for Disease Control and Prevention. This legal action stems from an investigation by the Consumer Product Safety Commission that determined the defendants imported toys into the United States in violation of the Consumer Product Safety Act and the federal Hazardous Substances Act. The products at issue in this case include: toy cars with impermissible lead content, dolls containing impermissible levels of lead and phthalates, a children’s kitchen set and police set that both exceeded the lead content limit and other toys containing illegal levels of total lead. Other imports in violation of the law were toys intended for children under three that contained small parts and infant rattles that could cause choking or suffocation. The Justice Department filed the injunction action in the U.S. District Court for the Central District of California in Los Angeles. The defendant companies are: Toys Distribution Inc. dba TDI International, S&J Merchandise Inc., BLJ Apparel Inc. and All Season Sales Inc. The defendant individuals are Loan Tuyet Thai, Lan My Lam, Paul Phuong, Cuc T. Thai, Tom Liu and Luan Luu. The government alleges that the defendants’ operations were associated with each other and that the companies share various personal or professional ties that make joining all the conduct into one lawsuit appropriate. Defendant companies S&J Merchandise Inc., BLJ Apparel Inc. and All Season Sales Inc., as well as defendant individuals Tom Liu and Luan Luu have agreed to settle the litigation and be bound by a permanent injunction that enjoins them from committing violations of the two laws. The proposed consent decree will be filed shortly with the court for judicial approval. The lawsuit continues against the remaining defendants. CHARLESTON, West Virginia, February 26, 2014 (ENS) – A new poll commissioned by the Sierra Club shows that West Virginia voters want the January chemical spill in the Elk River to serve as an alarm that triggers stronger safeguards and law enforcement to protect the state’s water, air, and health. On January 9, a coal-cleaning chemical leaked from the Freedom Industries Etowah River Terminal site on the bank of the Elk River. The site is located 1.5 miles above the drinking water intake for West Virginia American Water’s treatment plant, which supplies drinking water to a nine-county area, including Charleston, the state capital. More than 300,000 residents could not drink or bathe in tap water for weeks. Conducted by Hart Research Associates, the poll of over 500 West Virginia registered voters indicates the push for public health, air, and water protection extends to the ballot box. Respondents would strongly support candidates who favor these kinds of safeguards. “After years of outrageous industry rhetoric, it’s crystal clear. In West Virginia, we want clean water and air. These poll results show once and for all that regulation is not a dirty word here,” said Jim Sconyers, chair of the West Virginia Sierra Club. • Independents favor a pro-regulation candidate by a margin of 67 percent to 26 percent, while Republicans are nearly evenly divided, at 44 percent to 47 percent. • Two-thirds of respondents (65 percent) hold the coal industry responsible for general air and water contamination across the state. • 58 percent of voters polled are more likely to support a candidate who is independent of the coal industry – including Democrats (69 percent), Independents (59 percent), and Republicans (51 percent). “It doesn’t matter whether you ask an independent, a Republican, or a Democrat – West Virginians want leaders who put our air, our health, and our water before the coal industry’s profits,” said Mary Anne Hitt, director of the Sierra Club’s Beyond Coal Campaign and a long-time resident of West Virginia. The poll finds respondents support a broad range of specific clean water and air regulations. Majorities favored proposals to require more inspections (97 percent), higher water quality safeguards (87 percent) and an increased involvement by the Environmental Protection Agency in effectively enforcing regulations (67 percent). Majorities often cut across party lines. There are dozens of other potential sources of water contamination along the Elk River upstream of West Virginia American Water’s treatment plant. On Tuesday, a new report, published by West Virginia’s Downstream Strategies, found there are 62 facilities along the river that are “potential significant contaminant sources.” This means that a spill from any of them would contaminate the Elk River, which provides drinking water to Charleston. Only 51 such sources were identified in 2002 by the Source Water Assessment Report written by the West Virginia Bureau for Public Health. WASHINGTON, DC, February 26, 2014 (ENS) – The statistical and analytical agency within the U.S. Department of Energy Tuesday launched an interactive, online Coal Data Browser that brings together in a single tool comprehensive government information, statistics, and visualizations about the U.S. coal sector. The U.S. Energy Information Administration’s Coal Data Browser gives users easy access to a vast array of coal information from EIA’s electricity and coal surveys. For instance, the browser shows that the EIA projects coal production will grow 3.9 percent in 2014 as inventories stabilize and consumption increases. The browser allows users to dig through data from the Mine Safety and Health Administration and through coal trade information from the U.S. Census Bureau. All time series in the Coal Data Browser have also been released to the Energy Information Administration’s data application programming interface. The browser includes a help function with popup notes that explain the navigation and a brief video highlighting the browser’s features. The browser was launched on EIA’s beta site so that EIA can solicit customer feedback and incorporate this feedback into the final release. By law, EIA’s data, analysis, and forecasts are independent of approval by any other officer or employee of the U.S. government, so the views in the browser “should not be construed as representing those of the Department of Energy or other federal agencies,” the EIA said in a statement. The United States holds the world’s largest estimated recoverable reserves of coal and is a net exporter of coal. Coal is mined in 25 states. Wyoming mines the most coal, followed by West Virginia, Kentucky, Pennsylvania, and Texas. SAN DIEGO, California, February 26, 2014 (ENS) – The Port of San Diego has switched on its new shore power system at the Tenth Avenue Marine Terminal, which will improve air quality and reduce greenhouse gas emissions by allowing cargo vessels to plug in rather than run their diesel engines while in port. The new shore power system will allow refrigerated cargo ships, including those from Dole Fresh Fruit, to plug in and use electrical power from San Diego Gas and Electric instead of burning diesel fuel. This will reduce greenhouse gas emissions and improve air quality around the terminal, clearing the air for the community of Barrio Logan, a community of color created by racially discriminatory real estate covenants, that is also one of the oldest and most culturally-rich neighborhoods in San Diego. Construction on the $4.25 million project began in mid-2013 and was funded by the Port’s Capital Improvement Program. The contractor was NEWest Construction in San Diego. On Monday, a ribbon cutting ceremony was held at the Tenth Avenue Marine Terminal, celebrating the completion of the shore power project. Speakers at the ribbon cutting ceremony included U.S. Congressman Scott Peters, City of San Diego Interim Mayor Todd Gloria, Dole Vice President Stuart Jablon and Environmental Health Coalition Executive Director Diane Takvorian. The Port of San Diego already is equipped to provide shore power to cruise ships that berth at both its B Street Pier Cruise Ship Terminal and Broadway Pier. The installation of shore power is expected to reduces greenhouse gas emissions by over 50 percent, more than 2,000 metric tons, a year. That is equivalent to the greenhouse gas emissions from about 1,500 cars per year. Use of shore power for cargo vessels will reduces emissions of nitrogen oxides by approximately 95 percent or 70 tons per year, the equivalent of NOx emissions from more than 4,000 cars per year. This project fulfills a mandate set forth by the California Air Resources Board requiring California ports and terminals to provide shore power to container, passenger and refrigerated-cargo ships. The Port of San Diego is a unified district encompassing five member cities surrounding San Diego Bay. A public agency, the Port is charged by the State of California with developing the tidelands and commercial business as steward of the public-trust tidelands along 33 miles of San Diego Bay. We share the waterfront with the Navy, which oversees 18 miles of San Diego Bay. WASHINGTON, DC, February 26, 2014 (ENS) – Soaring use of the weed-killer glyphosate, first marketed as “Roundup,” is devastating monarch butterfly populations, and new safeguards should be put in place immediately to save the iconic species from further decline, the Natural Resources Defense Council said Monday. In a petition filed with the U.S. Environmental Protection Agency, NRDC said current uses of glyphosate are causing “significant ongoing harm” to monarchs, the unique orange-and-black butterfly species that migrates through the United States, Canada and Mexico as part of its annual lifecycle. The use of glyphosate, a broad spectrum weed-killer, has led to large-scale suppression of milkweed, a native plant that is the sole source of food for monarch butterfly larvae. While many herbicides can kill milkweed, it is the current application of glyphosate that has “contributed to significant habitat loss along monarch migratory paths,” the petition says. Recent figures show the monarch numbers in their Mexican wintering ground have plunged to just 10 percent of their recent annual average, and “the pervasive use of glyphosate has contributed to the monarch’s decline,” the petition said. Because each monarch lives only a few weeks in the summer, it takes several generations of butterflies to make the round-trip from Mexico to Canada and back. The petition asks the EPA to conduct an urgent review of the rules for glyphosate and consider the cumulative impact on butterflies from glyphosate and other weed-killers. Since the glyphosate rules were last updated in 1993, its use has soared tenfold to 182 million pounds a year, following the introduction and rapid spread of “Roundup Ready” corn and soybeans. Developed by Roundup’s creator, ag-biotech giant Monsanto, these crops are genetically modified to resist the weed-killer. Transgenic soybeans and corn now dominate Midwest farms and glyphosate has become the most widely used herbicide in the United States. New herbicide-tolerant crops are in the pipeline, raising new threats to monarch habitat. Although EPA is scheduled to complete a new review of glyphosate rules next year, “given the rapid decline in monarch numbers, EPA should take immediate steps to review and restrict glyphosate’s uses,” the petition says. Among the new safeguards it says EPA should consider preventing use of glyphosate and other weed-killers along highways and power-line rights of way where milkweed, a relatively short plant, could grow freely without interfering with maintenance or emergency crews. The petition asks that farmers be required to establish herbicide-free safety zones in or around their fields, and creation of other milkweed-friendly habitat. The petition cautions EPA to ensure that any new safeguards on glyphosate don’t lead to more use of other weed-killers that would be equally bad for monarchs and may pose health risks.